Love dim sum and curious about how to make it yourself? For our new Weekend Asian Cooking Camp in October, we're offering a special 4-hour dim sum workshop for Chinese food lovers (and pork and shrimp lovers). The class will be very hands-on, and we'll enjoy everything withChinese tea at the end! Also coming up during the Cooking Camp weekend: Shanghainese Soup Dumplings on Saturday, October 5th. Shanghainese soup dumplings, or xiao long bao, may be China's greatest gift to mankind.They're also the ideal comfort food, with each glorious dumpling holding a healthy mix of meat or seafood with tasty broth. Yet the making of soup dumplings is shrouded in mystery. In this class you'll learn the secrets to making great soup dumplings at home. We'll cover the basics of soup making, wrapping, and steaming. And we'll answer that age-old perplexing question: Just how do you get soup inside a dumpling? And of course, we'll sit down and eat everything at the end with Chinese tea and a surprise treat. Pork and chicken/ham soup will be used in the fillings. Also coming up during Cooking Camp weekend: Dim Sum for Everyone on Sunday, October 6th. Learn how to make a wide assortment of vegetarian sushi rolls in this brand new class at West Elm Dumbo! We'll work all vegetarian ingredients in class, and you'll get tips on making your own creative fillings at home. The ingredients will depend on what's fresh and available, but examples of vegetables we may use include kabocha squash, butternut squash, kale, Swiss chard, sweet potatoes, avocado, cucumbers, and pickled vegetables. You'll learn how use both white rice and brown rice in your sushi-making. Come prepared to learn new skills and eat! Note: I also teach the popular Dumplings and Wontons class at West Elm Dumbo and West Elm Broadway. In this special class for the fall (held for the first time at West Elm's Broadway location! ), we'll make use of seasonal ingredients from the Greenmarket in New York for our dumplings. We'll work with 3 different vegetarian fillings in class, and you'll get tips on making your own creative fillings at home. The ingredients will depend on what's in-season, but examples of vegetables we may use include kale, Swiss chard, sweet potatoes, butternut squash, shiitake mushrooms, and spinach. The first part of the class will be spent wrapping the dumplings and wontons (very hands-on!) Then we will move on to the cooking process, to learn a sure-fire method for pan-frying dumplings to crispy perfection. As for the wontons, so you can learn how versatile they can be, we will enjoy them as a deliciously spicy Sichuan appetizer. We want to devote as much time as possible to wrapping and cooking. You'll also receiverecipes for the fillings, sauces, and wrapping to take home so you can prepare your own fillings and refresh your memory of the wrapping process. Even if you've never cooked Asian food, you can easily learn how to make scores of dumplings and wontons with these simple techniques. Chinese cuisine offers a large selection of vegetarian dishes. In this class, join Diana Kuan, Chinese food expert and author of the blog Appetiteforchina.com, to discover some of her favorites, including Buddha's Delight; Cold Sesame Noodles; Scallion Pancakes; Marbled Tea Eggs; Mala Tofu (the vegetarian version of Mapo Tofu); Vegetarian Dumplings; Eggdrop Tomato Soup; Sesame Baby Bok Choy; and Chinese Almond Cookies. Sichuan cooking is well-known for its addictive spicy dishes. And although the flavors are complex, creating the dishes from scratch is surprisingly easy, with a few key ingredients and techniques. In this 2-hour intro class to Sichuan cooking, you'll learn how to whip up delicious Sichuan dishes in your own kitchen. We'll discuss the various uses of Sichuan pepper, the backbone of Sichuan cooking, as well as other essential ingredients in a Chinese pantry. And of course, we'll create three delicious dishes to share: dan dan noodles, kung pao chicken, and Sichuan cucumber salad. Tangra Summer, brought to you by Diana Kuan & Chitra Agrawal, is a vegetarian, seasonal Indo-Chinese feast at the historic Wyckoff Farmhouse Museum, New York City's oldest house and first official landmark, built in 1652. The meal will feature 7 dishes served family-style that highlight the summer’s bounty. Your dinner will also include local beers from Big Alice Brewing based in Long Island City. Part of the meal will feature Indian vegetables grown locally by Wyckoff's head gardener Jason Gaspar. Ticket price includes: A spectacular communal Indo-Chinese dinner set in a 17th-century farmhouse, beer from Big Alice Brewing & plenty of fun to cap off the summer. Get tickets! Only a few left! 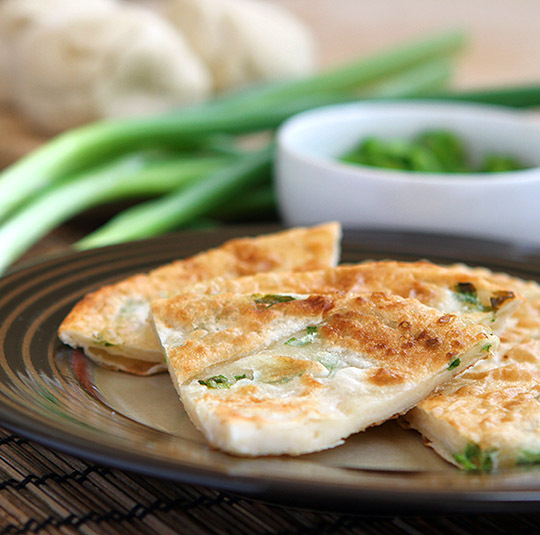 Chinese cuisine has many dishes that are vegetarian-friendly or easily adaptable for the vegetarian diet. Join us in this fun and informative hands-on class, where you'll learn all about the necessary ingredients for a Chinese pantry along with easy cooking techniques you can replicate in your own kitchen. We'll also incorporate seasonal ingredients into our summer cooking. Love dumplings and eager to make them at home? Join us in this dumpling extravaganza, where we’ll learn the basics of wrapping both Chinese dumplings and wontons. You'll also learn a sure-fire method for pan-frying dumplings to crispy perfection and how to make the wontons into a delicious spicy Sichuan appetizer. Both meat and vegetarian fillings will be available to work with.